Tea Time is one of our ongoing “Time” series. Made with antique watch faces and Swarovski crystals, these earrings are an eye-catcher! Watch faces will vary due to the nature of antiques. Measures 7 1/4″. 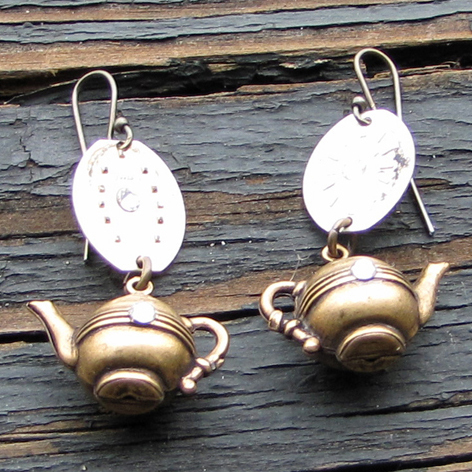 Available in antique brass or antique silver.